"How to eat bricks" is the first work I have done in the Brick Eaters series. 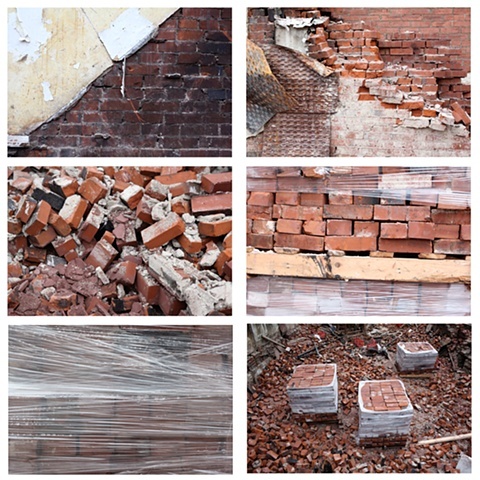 The images storyboard how bricks are ripped away from abandon or burned down buildings. In many cases fires were intentionally set to loot bricks. Bricks are harvested, stacked on pallets, and sold to other cities. This is a lucrative underground business, as it is often more financially beneficial to sell brick over rehabbing.